School Vouchers Law? To Whose Advantage? 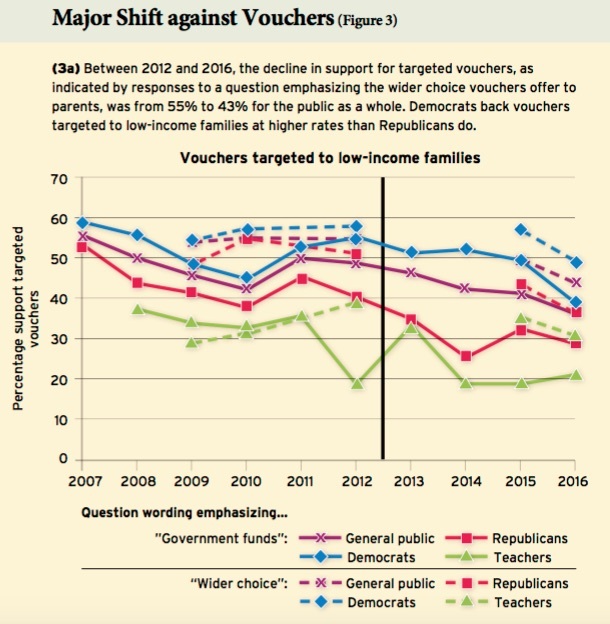 According to the Winter 2017 of Education Next, public support of vouchers is in steep decline. H.R.610 – To distribute Federal funds for elementary and secondary education in the form of vouchers for eligible students and to repeal a certain rule relating to nutrition standards in schools.